Below are the current Officers of the Cincinnati Section. Feel free to email them a question, or you can ask them in person at any ASCE Event. President – David Hayson, P.E., S.I. David Hayson is a Senior Project Engineer at Stantec with a background in a variety of water resources projects including detailed experience and knowledge in the analysis of hydrologic and hydraulic modeling projects. His project experience includes the assessment, planning, and modeling of sanitary, stormwater, and combined sewers. Specifically, he has worked on system wide models and the development of watershed planning, design alternatives, detailed flow monitoring and calibration studies, real-time control analyses, sewer separation projects, and other low impact development work. He has also been involved in open channel flow and overland 2D modeling through FEMA studies, flood risk studies/mapping, and dam breach analyses. David graduated from the University of Dayton in 2009 with a Bachelor's Degree in Civil Engineering - Go Flyers! He is registered as a Professional Engineer in the states of Ohio and Kentucky and also as a Surveyor Intern after obtaining his Land Surveying Certificate from Cincinnati State in 2012. David has been involved with ASCE since 2007 as an active member of the ASCE student chapter at the University of Dayton. 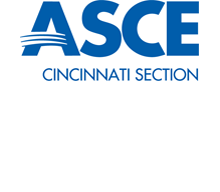 For the past three years, David has volunteered as Secretary, Treasurer and Vice-President on the ASCE Cincinnati Section leadership board. President-Elect – Anthony Klimek, P.E. Tony Klimek is a Supervising Engineer with the Metropolitan Sewer District of Greater Cincinnati (MSDGC) in the Facility Planning and Design Group. He was recently a Construction Manager with MSDGC where he managed the construction and upgrading of wastewater treatment plants, pump stations, and sewer lines. Prior to joining MSDGC, Tony worked for more than 30 years on a variety of civil and environmental engineering planning, design, and construction projects. 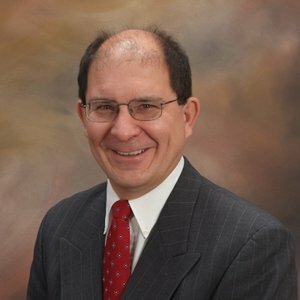 His experience includes: site development, environmental remediation, landfill, utility, telecommunications, water, wastewater, and other infrastructure projects throughout the United States. He is a registered engineer in Ohio, West Virginia and Pennsylvania. He has a BS Degree in Engineering from the University of Pittsburgh and a MS in Business from Robert Morris University. Tony has been an active member of ASCE his entire career. He was previously an officer and leader in the Central Jersey and the Central Ohio Sections of ASCE and is currently the Vice-Chair of the ASCE Ohio Council of Sections. He has been an active member of the ASCE Cincinnati Section leadership team since 2016 and has previously served as Secretary. Kayleigh is a civil engineer at The Kleingers Group working in the SportWorks department designing sport fields and facilities. 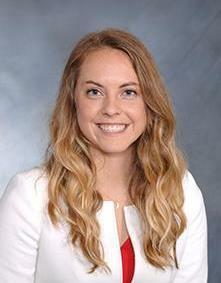 Kayleigh is a 2017 graduate of the University of Cincinnati, where she received a Bachelor of Science in Civil Engineering. Kayleigh served as President of the ASCE University of Cincinnati Student Chapter and is an active member of the Gamma Phi Beta Sorority. Secretary – Brad Barber, P.E. Brad Barber, P.E. is a Water Resources Engineer in Wade Trim’s Cincinnati office. His work experience is broad and includes the design and operation of wastewater collection systems, water distribution systems, pump stations, treatment facilities, and CSO/SSO remediation. He is involved in all project stages including alternative analysis, project design, specification writing, cost estimating, permitting, bidding, and construction inspection. 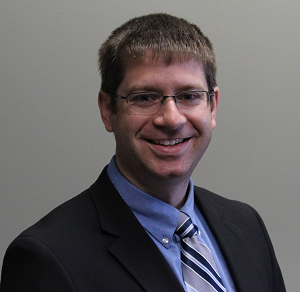 Brad earned his BSCE from Ohio Northern University in 2009, and worked for Jacobs Engineering Group through 2016. Brad's ASCE involvement dates back to 2005 as an active member of the ASCE student chapter and two-time captain of ONU's National-qualifying concrete canoe teams. For the past two years, Brad has volunteered to judge ASCE's Ohio Valley regional concrete canoe competition. He is an active member of the ASCE Cincinnati Section leadership team and serves as the Website and Social Media Director. Educational Outreach Committee – Julie Cromwell, P.E. Julie is the CEO of the woman owned structural engineering firm Julie Cromwell & Associates, LLC located in Cincinnati, OH. In addition to managing the business, Julie is actively involved in the structural design of many projects in the commercial and residential markets. Julie graduated from the University of Cincinnati with a Bachelor of Science degree in Civil Engineering and a Master of Science degree in Structural Engineering. As a proud alumnus, Julie gives back by sitting on several master students’ thesis committees, being an active CAECM (Civil and Architectural Engineering and Construction Management) Advisory Board Member, being an adjunct faculty member, mentoring students with career advice, and serving as the Practitioner Advisor for the Student Chapter of ASCE. Julie loves helping to mentor students in the field of Civil Engineering and Construction Management from UC, Cincinnati State, NKU, UD, UK, and many others. Julie is also an advocate for STEM (Science Technology Engineering and Math). As part of the ASCE Educational Outreach Committee, she volunteers for many high school outreach programs to help promote the field of engineering and construction management to middle school, high school, and grade school students. 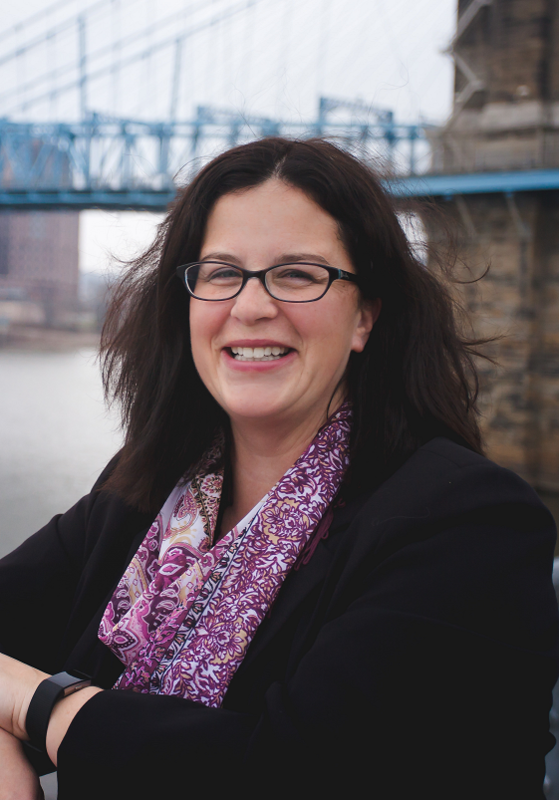 While President of the Cincinnati Section of ASCE in 2004, she helped establish an RET (Research Experience for Teachers) program at UC that continues today. RET is an NSF funded opportunity for select high school math and science teachers to learn about engineering and then create their own lesson plans with real engineering applications for their students. Structural engineering is very important to Julie, but educating and mentoring tomorrow’s engineers is her true passion. If you share in that passion, please reach out and join our committee!